To accurately measure food temperatures. 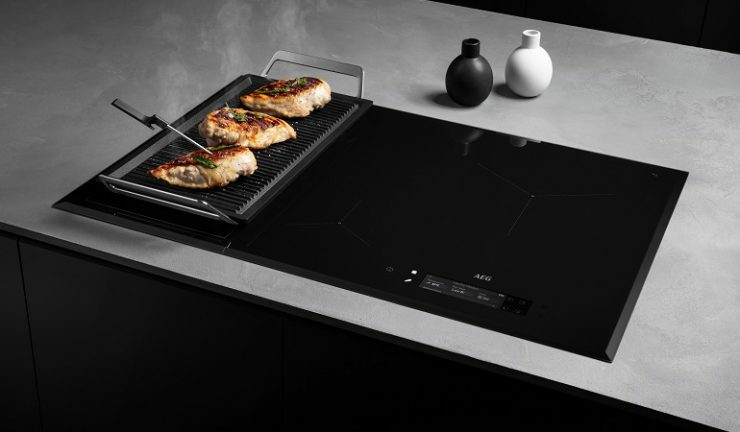 AEG presented its most advanced induction cooktop to date with a world-first wireless food sensor probe at IFA in Berlin. Measuring internal core temperatures accurate to +/- 1°C, the new SensePro cooktops guarantee perfect results whether it is boiling potatoes, simmering sauce or pan frying steak rare, medium or well-done. For the first time, consumers can now also cook sous vide on the cooktop. Electrolux head of major appliances EMEA, Dan Arler said it isn’t about the technology, it’s about helping consumers cook better. “We know consumers think it is more important to have an easy experience than to have high technology. If you can provide a great experience, that is the cornerstore of building customer loyalty. It must be low effort, it must be delightful and it must inspire consumers to try something new,” he said. “The most important thing for us is to understand the consumer and we see four major trends this year that are shaping the world. The SenseCook induction cooktop range also incorporates the SenseFry cooktop, unveiled at this year’s EuroCucina in Milan, that eliminates the need for guesswork when frying, and the SenseBoil cooktop that detects when water inside cookware reaches boiling point and automatically adjusts temperature settings to a controlled simmer.